Hello! Who's ready for some more bright shades for Summer? 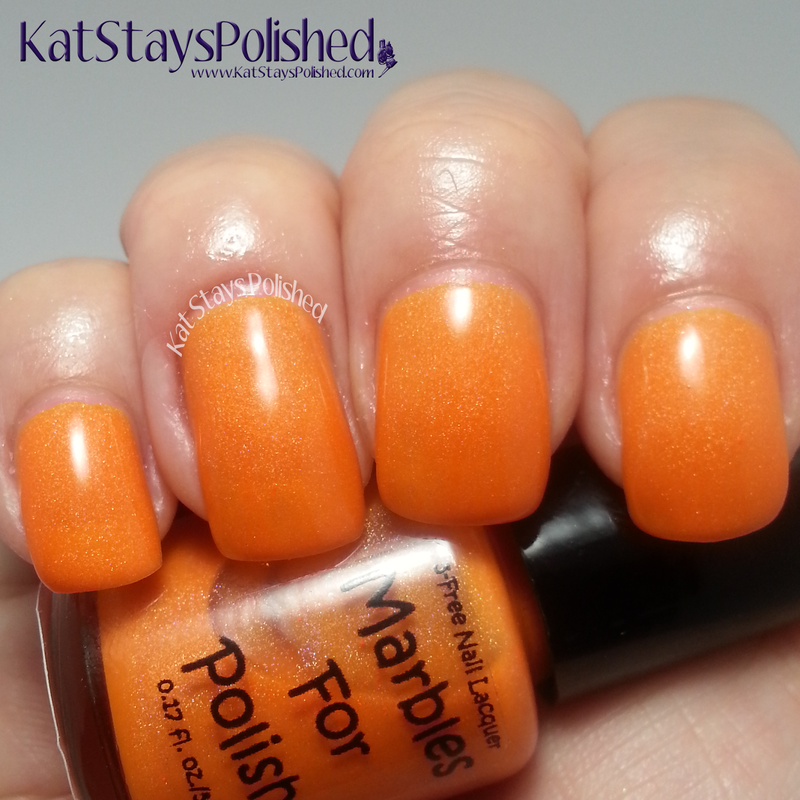 Today I have the Sweet Tooth collection from Marbles for Polish. Not only are these super bright, they are holo polishes, yay! There are 6 polishes in this set so let's not waste any time getting a closer look. Watermelon Fizz is a neon red holo polish. Shown is 2 coats of polish with no top coat. This applied very smoothly. For this and the rest of the shades, I did have to use slightly thicker layers of polish, but nothing obnoxious. It's just easier to get an even coat and a thicker layer help to spread the polish better. Orange Twist is a bright neon orange holo. It is stunning in person and gives off a very juicy vibe. The holo effect comes out even better in direct sunlight. Lemon Drop is a bright neon yellow holo shade. Like lots of yellow shades out there, this is is a bit sheer. I have 2 coats shown here. A third would probably have made this close to completely opaque. Sour Apple Pop is a seriously bright neon green shade that screams Summer. I love bright greens like this and the added holo effect makes it even more attractive. Shown here is 2 coats. Blue Razz Slush is a gorgeous bright blue holo shade. Blue, check! Holo, check! What more could I ask for? Shown here is 2 coats. Grape Slice is the last color in this collection. A seriously delicious purple holo shade for the summer. Shown is 2 coats. You should definitely get these this season. You won't be disappointed, I promise! Which ones is your favorite?